The leading water damage restoration service in Plant City, Lakeland, and surrounding areas. Water damage to your home or business is some of the most devastating damage your home can suffer from. We ensure all the damage is fixed correctly! From leaky faucets to flooding and bursting pipes, water damage is a common but destructive issue to face as either a homeowner or business owner. If not addressed immediately, the unwanted surplus of water in your property can prompt a whole slew of issues, such as electrical hazards, damage to furnishings and structures, and dangerous mold growth that can harm your health. 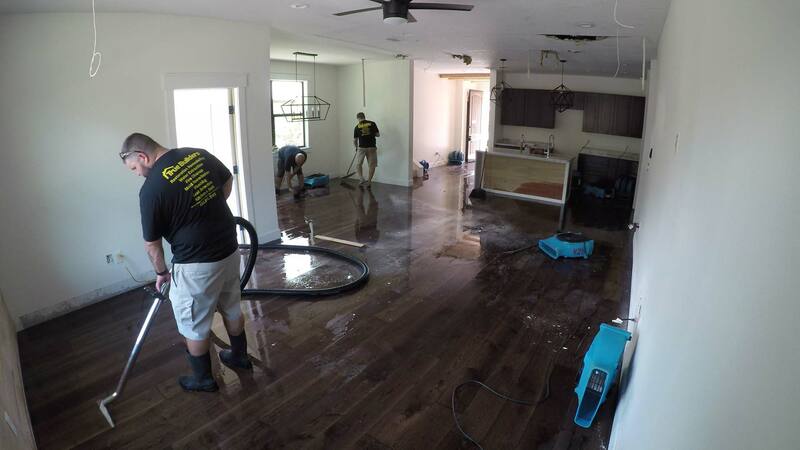 When faced with water damage of any kind, call us at (863) 647-1800. We specialize in water damage restoration and serve the communities of Central Florida, such as Plant City, Lakeland, Winter Haven and the many surrounding areas. Water damage is extremely destructive to your home or business. Most people don’t realize how destructive water can be. It’s the single-most destructive long-term substance that can occur inside your property. When there’s flooding or a surplus of water, it can quickly deteriorate structures and is especially severe when the water is unclean. Immediate intervention can significantly reduce the harmful effects of water, especially within the first two days. Here at True Builders, we pride ourselves on the expertise of proper cleanup and restoration services that can restore your water-damaged home. Call (863) 647-1800 for Water Drying & Restoration! Beginning the water damage restoration process. If the structure is completely dried out. The amount of damage to the property. We always recommend calling our professionals immediately after water damage occurs so as to prevent further damage, health risks, and costly repairs. Don't wait for mold to start growing! Mold can develop very quickly. It takes hours, not days, for mold to develop when you’re experiencing water damage in your property. Act fast and call our professionals. While mold typically isn’t a matter of life and death, any mold bears the potential of causing health issues, and so removal is essential. At True Builders, our team of experienced technicians are trained in air quality testing, mold identification, safe removal tactics, and ensuring your property is repaired as quickly as possible. We are experts in handling even the most severe water damage in residential homes and commercial properties. Call us today at (863) 647-1800 to learn more about our quality and affordable services in Plant City, Lakeland, Winter Haven and other Central Florida communities. Want more water damage articles? Click here for more.